Over here in the UK, we haven’t really been exposed all that much to the delights- not to mention the massive grin- of Sarah Silverman. Stumbling across this DVD was something of an eye opener, I can tell ya. Known across the US as a comedian, actress and incredibly offensive personality, she hasn’t really crossed over to the UK consciousness aside from that infamous music video involving Matt Damon. 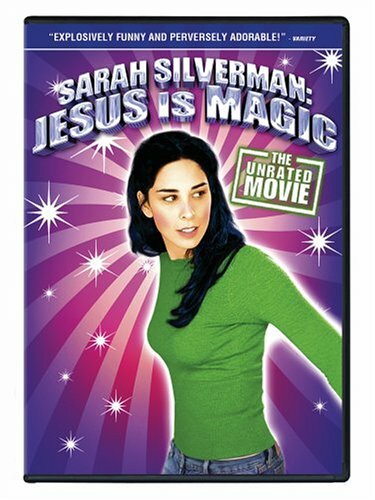 Sarah Silverman’s ‘Jesus is Magic’ is a strange movie project from 2008, fusing filmed sketches with standup material and pseudo-dramatized scenes into one show. Her wit is on top form, and there are many LOL moments to be had, mostly at the expense of others. Is she offensive? Only if you are bereft of a sense of humour. Much of the humour just points out our own faults as a species, which many people can rather take the wrong way. Favourite moments include the ‘You’re gonna die soon’ song and most of the standup material. The filmed segments don’t really work quite as well as the straight-ahead comedy, but they flesh out the film well and provide an entertaining change of pace if the standup starts to grate on your nerves. This is a great example of why and how Sarah Silverman is one of the most popular comics of her generation. Outrageous and foul-mouthed she may be, but the lady has talent. All you John Hughes fans might be thinking of moving now that news has surfaced that Ferris Bueller’s mate Cameron’s house, or at least the house the character lived in, is now up for sale. There’s no mention if you get Matthew Broderick and a shampoo horn in there with the deal, but what self-respecting geek wouldn’t want to live in the house that was used in Ferris Bueller’s Day Off? Just think, you could wake up each morning and plan your next day off in style while wandering the rooms and pretending to talk to the camera. Just don’t try and break the fourth wall for real, or the house value will slip dramatically. The house is up for sale at a cool $2.3million, or £1.5million to us Brits. So just how nice is The House That Ferris Lived In? There’s 5,300 square feet of space to it, and the place is just as gorgeous as in the classic movie. Just keep an eye out for demented school Principals around the back door. The house features a wall of Ferris Bueller memorabilia from the shooting of the John Hughes teen movies masterpiece. Yeah, getting the jitters to move. I wonder if they’ll throw in that mannequin/pulley system too? I could use that. 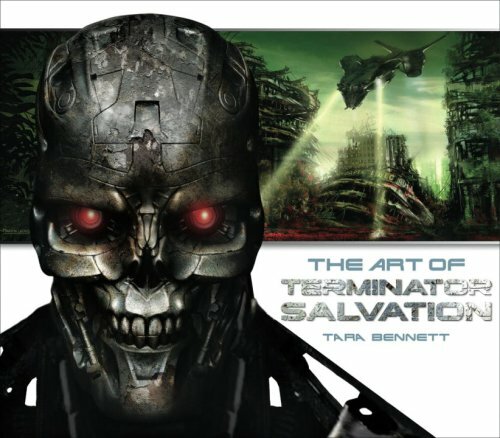 Terminator Salvation: Could we have been wrong? Reviews for Terminator Salvation are starting to pour in from all over these here interwebs, and man, they aren’t looking good. Could we have been wrong all this time? It is looking increasingly possible that the film is going to be the exact opposite of the masterpiece we had come to expect. The trailers look incredible, and with Christian Bale in it, things were looking even better. But remember 1999? The Phantom Menace had amazing trailers and Liam Neeson, and look what happened there! Reading the Terminator Salvation reviews that are coming out now, it seems that we have a similar case on our hands. It would appear that everything that made the first two Terminator movies compelling has been lost in favour of big action set pieces, flat dialogue, a duff story and very little of any real substance. Hell, a bunch of the reviews are even saying that the god-awful Terminator 3: Rise of the Machines was better. Wow. From these reviews, the picture that is being built up is of a film that is a gargantuan screw-up. Everybody here hopes that it isn’t, and we look forward to bringing you our full review once the movie is out. It is going to be interesting to see how it divides fans. Yikes. Sherlock Holmes Trailer- What fresh hell is this? As much as I love Robert Downey Jr, I have a distinctly bad feeling after watching the trailer for Sherlock Holmes, in which he plays the titular sleuth opposite Jude Law’s Watson. I can’t shake the feeling that it looks a little too close to The League of Extraordinary Gentlemen (LXG -*shudder*) movie. Remember that aberration? I’d rather not. Unfortunately it looks like this version of Sherlock Holmes has missed the point of the character a bit. The set pieces look very nice, and there are one-liners aplenty, but how about some substance too? Where is the subtle Sherlock Holmes that became a legend in Arthur Conan Doyle‘s stories? Where’s the detective work? Maybe the trailer is just a showreel type affair and there will be a plot and something interesting going on, but sadly from this I think we’re in for another LXG. I’ll be keeping an eye on this and will watch the film with interest before truly unleashing my vitriol. Star Trek: Where next for the movies? Woo-hoo! I saw the new Star Trek movie at last, after a week of not being able to make it to the cinema. Wow. Just wow. I’d put up a review, but you know what it would be like. The film is IMMENSE in every possible way. I loved it. Absolutely loved it. I’ve been a trek fan for nigh on twenty years now, and this just blew me away. The question that it did raise though is where next? The sequel is already being prepped. The script is underway and JJ Abrams is to produce, but not direct. With a whole new universe of possibilities for the Star Trek mythos now that that the movies follow an alternate universe and timeline to the original TV shows and movies, I’m really rather stumped as to where they will take the next film. Something’s telling me Klingons will feature in the second new Star Trek movie, as a logical (sorry) move on the part of Paramount. A new species or villain may not sit too well with the fans just yet, and as the Klingons are already established in this new film as being a presence out there, it would be cool to see some new, redesigned Klingons showing up. I don’t know though- would a new villain add something to the franchise or take it away? 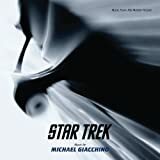 I think that for this first sequel it will need to feature creatures or a villain that the general populace is already familiar with, which puts Klingons at the top of the list really, doesn’t it? Perhaps we could see something that has been mentioned in older Star Trek stories but never seen? Maybe. Or how about a new spin on an established story from the original Star Trek TV series? Those three years of episodes are ripe with stories that could be expanded on or seen from a new perspective thanks to this new universe/direction. City at the Edge of Forever? Space Seed? Hmm, that last one brings up an interesting thought- I wonder if Khan Noonian Singh will show up in this series of flms? maybe not, as I think The Wrath of Khan is held in such high regard that it would be somewhat foolish to revisit old ground like that, despite how cool it would be. maybe something else along those lines, another aspect of the Eugenics wars coming to bite the present on the backside? Whatever, we’ll be following it with great interest. The new Star Trek movie is fantastic, so the gauntlet has been thrown down to make the next one even better. Make it so. There are some brilliant attempts at trailers for films that don’t exist available online. You have to respect the work that goes into these things, as a bunch of them are truly spectacular. Granted, you may wonder who has *that* much time on their hands, but you can’t deny that some of these things are impressive. Sure, there are a million and one out there that are terrible, but now and again you’ll find some stunning pieces of work. So what inspires people to make these things? Some are made for fun, some as technical exercises, and many others are (sadly) made to try and dupe gullible fans into thinking they’re real. It’s the former two that need respect. The latter just need girlfriends. Seriously. One of the finest pure science fiction films that has been released in the past couple of decades is Dark City, directed by The Crow/I, Robot/Knowing’s Alex Proyas and starring Kiefer Sutherland and Rufus Sewell. It remains a cult favourite to this day, and with a new version of the film now available, a new generation of fans can discover this dark masterpiece. The thing is, when the film was initially released back in 1998, it was a commercial failure. Why the hell was it this way? Watch the film again and it is easy to see. The film’s structure doesn’t adhere to the usual conventions of Hollywood production, instead favouring a much or mysterious approach to storytelling. Plus, while it does have Sutherland in it, the film doesn’t have much in the way of stars in its cast. This is something that worked very much in the film’s favour though. The cast is uniformly excellent, and Richard O’ Brien is terrifying as the lead Stranger. Conceptually, the Dark City film is very similar to the classic science fiction short story ‘The Tunnel Under The World’ by SF legend Frederik Pohl, in which the inhabitants of a deceptively normal city undergo various ordeals at the hands of unseen hands in the name of experimentation (plus it also features two characters who become wise to what is going on), and even the chilling climax is similar to the final moments of that story, when the true nature of the city is revealed. Similarities to classic science fiction aside, Dark City is a beautifully made film that holds up very well today. With striking visuals, a great cast and some very powerful direction and editing, Dark City is a film that will be held in greater and greater regard as time goes on. Neil Gaiman’s excellent children’s book Coraline was a surreal little adventure that grabbed the imaginations of a ton of kids and adults alike. Now, after much in the way of hype, it the movie adaptation of Coraline, directed by The Nightmare Before Christmas’s animation maestro Henry Selick. There is something truly magical about stop-motion animation and thus it is the perfect medium to bring Coraline to the big screen. Coraline is voiced to great effect by Dakota Fanning, who heads up a very impressive cast alongside people such as Ian McShane, Dawn French, Jennifer Saunders and Teri Hatcher. Does it work? Yeah, for the most part it does. Some of Gaiman’s delicate storytelling is lost along the way, but it does hold up well as both a movie and an adaptation. The script appears to have done away with a few scenes, at least that’s how it felt, as the secondary characters don’t seem to be in it nearly as much as they are in the book. Visually, the Coraline movie is a triumph. The Mouse Circus is breathtaking to look at, and the design and construction of t he models used in the animation is beautiful- they do look like physical objects, but with the animation mastery on show they really do come to life. Coraline herself is the obvious star of the whole thing, with a ton of attention paid to the way her facial expressions work and her mannerisms are portrayed. Oh, and yes, the buttons for eyes thing? Creepy as hell. 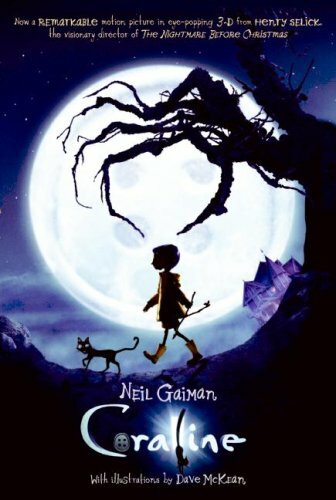 Neil Gaiman’s Coraline isn’t really a film I’d take small children to see due to the weird content and some really rather scary scenes (that climax is awesome), but for kids 11+ it is a treat. Hell, it’s a treat for adults too. For the full effect, make sure you see it in 3D, which looks great when applied to stop motion animation. I just wish it felt a bit more like the book. Great stuff though, and well worth seeing again. 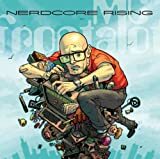 One of the best albums we’ve heard in the realms of geek music is MC Frontalot’s ‘Nerdcore Rising’. Not familiar with Nerdcore? It’s Hip Hop without (Most of) the misogyny and boasts lyrics and themes based around geek culture, comics, science fiction and gaming. We’re not generally hip-hop fans, but MC Frontalot is a firm favourite with the YourGeekness staff. Plus, that classic album is now only 5 dollars to download! (Cheers to Frontalot himself for putting that on his Twitter feed). With classics like ‘Goth Girls’ and the awesome theme tune he did for the Penny Arcade comics, you’re in for a geek treat. Check it out.